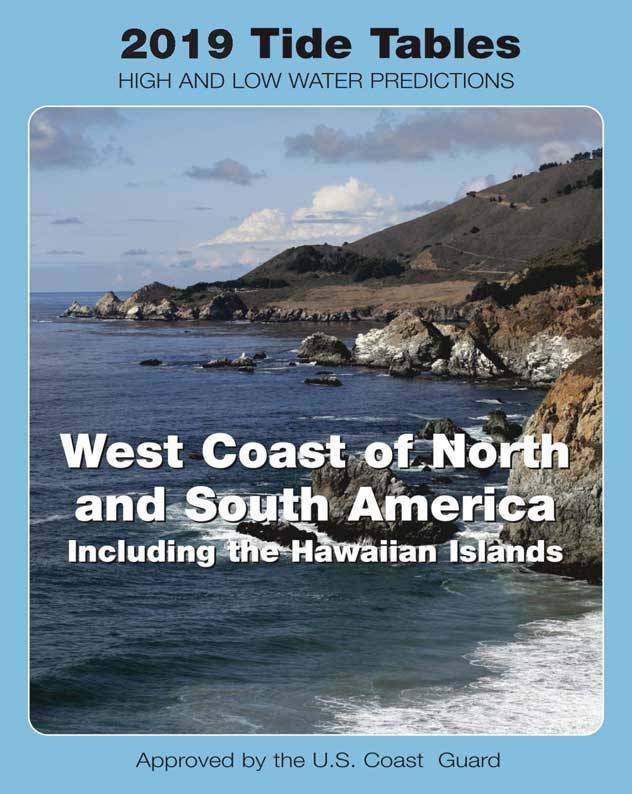 2019 West Coast of North and South America (Including the Hawaiian Islands) Tide Tables. 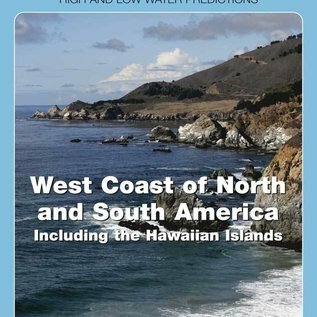 Contains full predictions for 59 reference ports and differences and other constants for more than 1,285 stations in North America, South America, and the Hawaiian Islands. It also contains a table for obtaining the approximate height of the tide at any time, a table of local mean time of sunrise and sunset for every 5th day of the year for different latitudes, a table for the reduction of local mean time to standard time, a table of moonrise and moonset for 6 places, a table of the Greenwich mean time of the Moons? phases, apogee, perigee, greatest north and south and zero declination, and the time of the solar equinoxes and solstices, and a glossary of terms. This book is published as one part in a set of four volumes, along with Europe and West Coast of Africa (including the Mediterranean Sea), East Coast of North and South America (including Greenland), and Central and Western Pacific Ocean and Indian Ocean. 8½ x 11.